RCS is built on a solid base of highly skilled staff and support network with hands on experience within the agricultural industry. In addition to our full time staff, RCS has access to an extensive network of technical experts and researchers that are available for targeted projects. This arrangement allows the organisation to remain flexible to the requirements of the market and maintain up to date with an ever-changing industry. 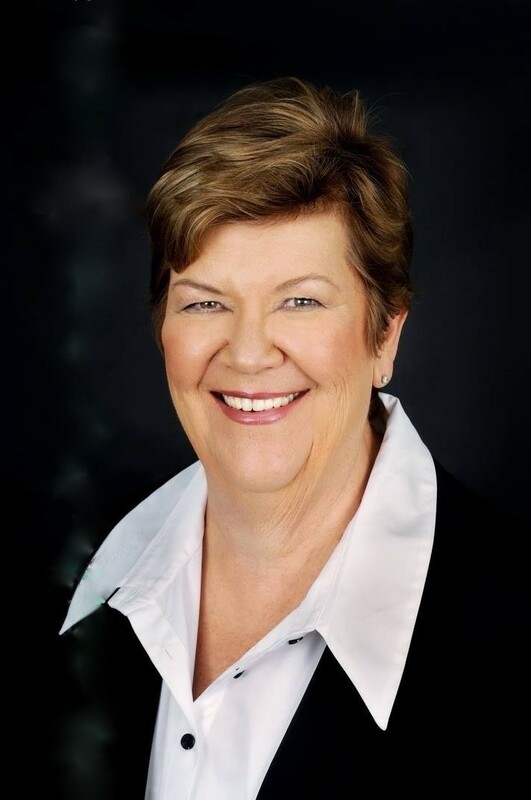 Terry is an internationally acclaimed teacher and has worked in research, extension and property management in both government and private sectors for 45 years. In his research era, Terry published over 40 papers and made several world first discoveries in the 1980s in the fields of bull fertility, ruminant nutrition and pasture ecology. Terry co-founded RCS over 25 years ago which has set the benchmark for capacity building in rural and regional Australia. 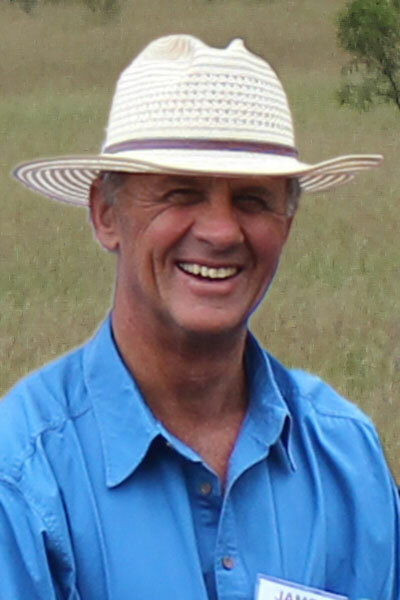 He is responsible for the introduction of the GrazingforProfit™ School into Australia which now has over 5,500 graduates and has changed grazing, livestock and business management nationally. 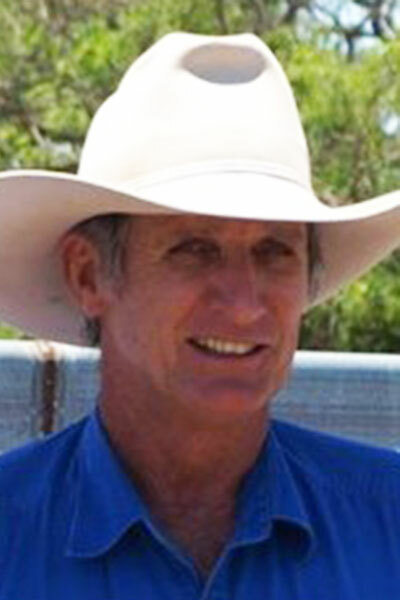 Terry has chaired the Australian Beef Expo, has sat on numerous advisory committees and has been nominated for many awards. David joined the RCS team in 2007 with a very strong background of achievement. David is a member of a grazing family from western Queensland and completed his Bachelor of Agricultural Science (Hons 1) at UQ Gatton. 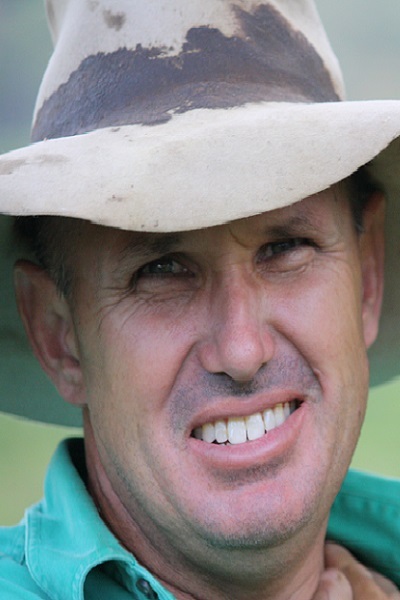 He has high level hands-on experience in practical application of RCS principles via starting as a RCS client on a north Queensland cell grazing and breeder operation. David’s high level analytical skills and broad skill set put him at ease everywhere from the board room to paddock. David became General Manager in 2012 and Chairman in 2018. He continues his role as a sought-after educator, consultant, facilitator and public speaker across Australia. David is also responsible for the management of ProfitProbe™, the RCS benchmarking and business analysis program. Adam was born and raised in Mareeba, far north QLD. His family upbringing fostered a strong appreciation for both agriculture and the natural environment. Professionally, Adam has worked in several different fields which has allowed him to gain experience across sectors and from a diverse range of people. After completing high school, he spent seven years working in the finance industry, managing people and projects in locations such as the Gulf of Carpentaria and the NSW high country. It was in the here that his passion for the natural environment strengthened, prompting him to gain a qualification in ‘conservation and land management’. Following this, Adam worked with the Department of Environment and Sustainability managing natural resource and forestry silviculture and working in emergency management. His more recent years have been spent in central QLD, where he has managed the plant department of a large civil contracting business. Adam looks forward to many more years of continued learning and making a positive contribution to both people and our natural environment through his role as General Manager at RCS. An integral part of the lively RCS team, Michelle’s origins are in central Queensland, where she earned a Bachelor of Business (Accounting) at CQUniversity. Michelle first joined RCS in 2007 and was with the company for four years before moving on to work as an accountant with a Yeppoon accountancy firm. Michelle has since returned to RCS and, in her role as Finance Manager, is responsible for managing the company’s accounting and finance functions. Kelly is the eldest daughter of Pam and Terry McCosker, and as such has grown up with a unique insight and respect for RCS. After completing high school and business studies, Kelly has worked for more than 15 years across the hospitality, fitness, finance and health industries. Most of her roles involved the delivery of projects, events or training to both clients and staff. A previous Project Coordinator for Medibank and Wedding Coordinator for Rydges, Kelly enjoys working with all involved to ensure an excellent product and experience is delivered to clients and colleagues alike. Matt is a fifth generation farmer in central NSW and began working with RCS in a part time role in 2007. At University he studied accounting and finance, completing his Bachelor of Financial Administration in 1987. He worked in the financial markets in Sydney and held the role of Corporate Treasurer for a mid-level miner before returning to agriculture in the mid 1990’s. While in Sydney he completed a post-graduate Diploma in Applied Finance and Investment and his professional accounting qualifications. On returning to agriculture one of Matt’s first endeavours was to re-educate himself on industry best practice and there his partnership with RCS began. After completing GrazingforProfit™ in 1996 and during ExecutiveLink™ Matt implemented strategic changes to his business and along the way became involved in the early adoption of pasture cropping. He used pasture cropping for both cash cropping and ecological regeneration, incorporating sheep and cattle in the off season. In conjunction with RCS, Matt help develop the Farming&GrazingforProfit™ (F&GFP) school in 2007. Matt brings a number of attributes to the RCS team. His time in Sydney has provided experience in the corporate and investment sectors of our economy. This insight is important as Australian agriculture embarks on a period of investment and corporatisation. Matt is able to able to engage and advise at the operational level and investor/corporate level. Matt’s time in agriculture and RCS involvement has added cropping into the RCS framework. His on ground understanding of the economic and ecological pressures facing cropping and mixed farming add an important dimension to the RCS team. Prior to returning to farming in 1984 Garry worked as a corporate advisory consultant in London & Sydney. After a few years of farming conventionally he attended a GrazingforProfit™ in 1992. This started a journey with RCS and with further education in general, and lead to a substantial change in the way in which the farms and the farming business was managed. Along the way Garry has been extensively involved in community affairs. 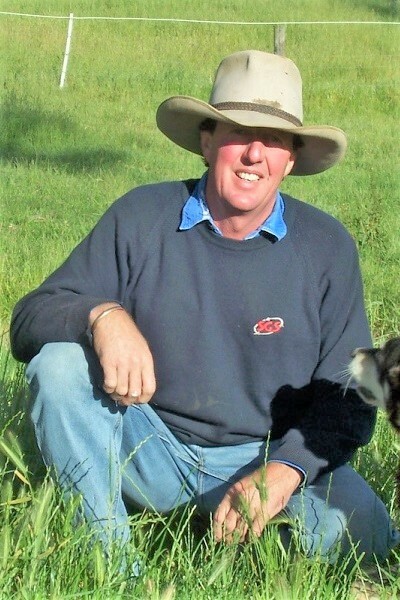 He has been Chairman of the North West Catchment Management Committee, President of local beef marketing group, Double B Beef, a Director of Banksia Beef which marketed beef into South Asia, founding President of local community group Bingara & District Vision 2020, and Chairman of the Steering Committee of The Living Classroom. Garry is passionate about the future for rural Australia, and in particular for smaller communities. He brings a wealth of experience to RCS from a wide variety of fields. He has an ability to get to the essence of a problem or of an opportunity, and to understand what will work, and what may not. Garry and his wife Linda are graduates of just about every bit of education facilitated by RCS including the ExecutiveLink™ program. He is a very experienced practitioner of the holistic farming practices recommended by RCS, and is a teacher of all RCS courses. 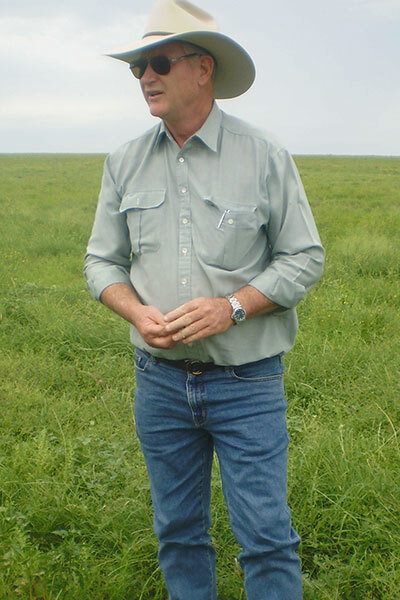 He is one of few experienced enough to facilitate the 7 day GrazingforProfit™ School. Garry also consults on farm, facilitates at ExecutiveLink™, and is experienced in succession planning. Garry and Linda recently sold their farming properties and now live in Bingara, Northern NSW where they remain very active in the local community. Claudia Power did her first GrazingforProfit™ in 1996, followed by ExecutiveLink™ from 1996-2000. She has a Masters degree in Agricultural Science and worked as an Extension Officer for 11 years in the Qld Dept of Primary Industries before moving back to the bush. She and her husband, John, ran sheep and cattle on two properties in the Richmond and Winton districts until health issues resulted in their “semi”-retirement to Townsville in 2006. Claudia has done facilitation and consultancy work for RCS since 2000. She specialises in the “people issues” such as succession planning, visions and goals, but has also done her share of property development, poly laying, droughts and low prices. NSW-based advisor James Barnet joined RCS in March 2015. 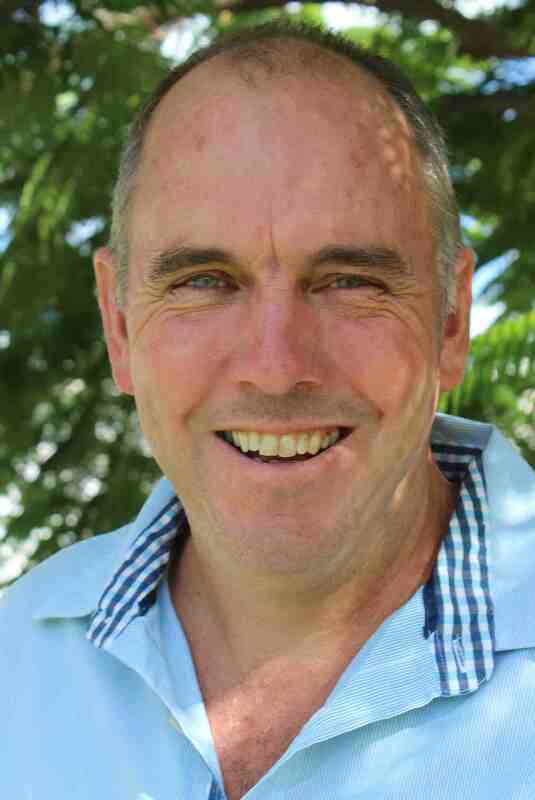 James and his wife Tina are GrazingforProfit™ and ExecutiveLink™ graduates who, having sold their property at Guyra in northern NSW where they had spent 14 years developing the property using RCS principles, moved to Yeppoon for a number of years before relocating back to their home state in 2019. James has a strong background in family and corporate agriculture. He was brought up in a family operation in north western NSW and later the New England. With a background in measured performance selection in sheep and cattle he was able to expand on his experience when he managed a large merino breeding enterprise at Coonamble for AA Co. He updated the wool marketing strategy and implemented changes to infrastructure and to the breeding program. Later he managed Clyde Agriculture’s expansion into prime lambs at Walcha. James was with AACo for 12 years managing properties in north western NSW and western Queensland. He also oversaw station management as a Regional Manager on properties ranging from Ayr to Windorah. Later, as General Manager for Livestock Logistics he was responsible for co-ordinating livestock movements within the company and the timing of turnoff and preparation of livestock budgets. James also participated on the AA Co stud breeding panel in the early days of the company’s composite breeding program. Decades of hands on experience allows James to provide practical professional advice and mentoring to clients right across Australia, empowering them to transform their businesses and lives. Peter Spies hails from the Darling Downs, but has lived on the Atherton Tablelands for the past 18 years. Peter is qualified as an Agronomist and soil pedologist with a Bachelor Degree in Rural Technology (Hons) and an Assoc. Diploma of Applied Science in Agronomy (UQG). Peter specialises in Soils, Vegetation, Land systems, Soil erosion, Salinity, Sodicity, Agricultural Suitability and Grazing Land Management. 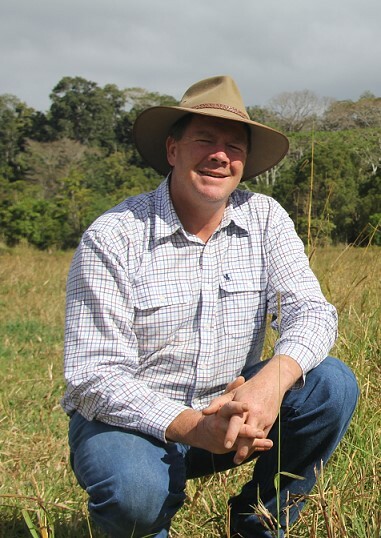 Peter was previously employed in State Government for over 14 years with DNRM and DPI in North and Central Queensland in Vegetation Management, as a Soil Conservation Officer in the Central Highlands, Grazing Land Management and Agricultural Extension. He has been a Land Management Consultant for 5 years prior to joining RCS, and has conducted soils surveys on over 140,000Ha. Peter has liaised extensively between government, non-government organizations and the community, has written policy advice and extension material for land managers. He has been published several times including Senior Author of the National Case Studies Manual on Control of Prickly Acacia and several DNRM factsheets. 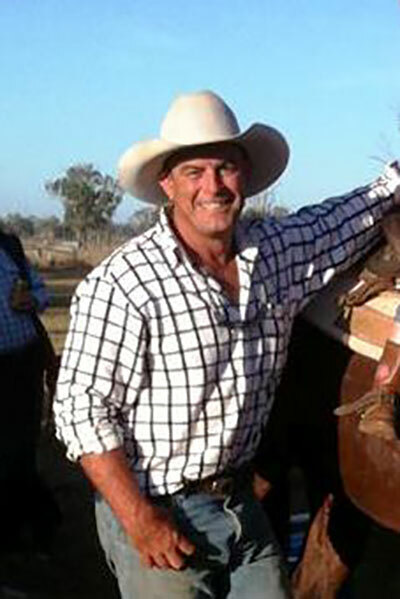 In his spare time Peter breeds Senepol and Senepol / Droughtmaster Composite cattle on the Atherton Tablelands and is involved with several industry groups, providing technical advice, and has been a Director on Agforce Cattle, North Region Executive and a member of the Vegetation Management and Reef Policy committees. John and his family moved from South Africa to Queensland, Australia in early 2015. He brings a wealth of experience in production, strategic change planning, wealth creation and succession planning. 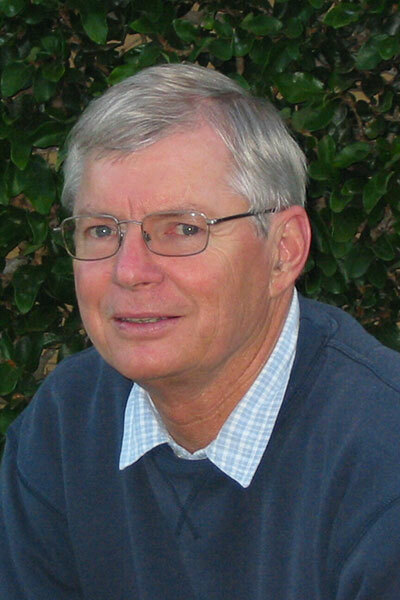 John has a degree in Agricultural Production, is a certified Neurolinguistics practitioner and trained facilitator. 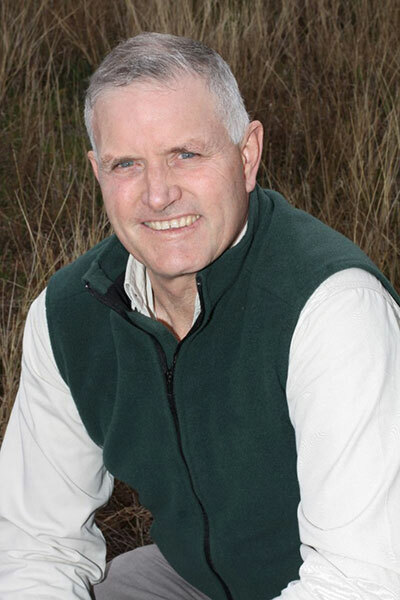 John has served on a number of agricultural boards in South Africa, including being Vice Chairman of Clover Dairy’s producers’ forum, the largest dairy processor in Africa and President of the Agricultural farmers’ association. 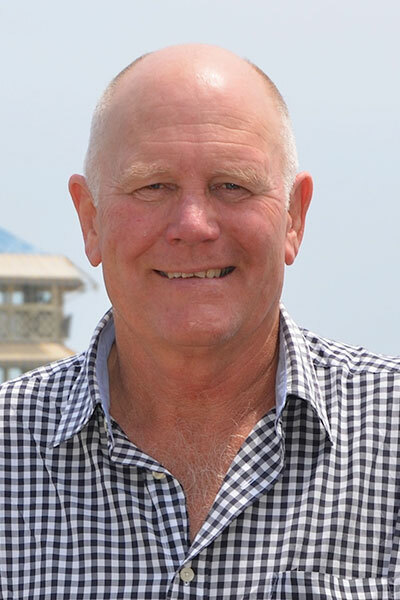 Before immigrating to Australia, John ran his own private succession planning business, delivering succession services in South Africa to family owned farming businesses. The Moor family’s core business is still a large scale pasture based dairy business currently milking 1000 cows on biologically grown pastures in partnership with a share-milker in South Africa. Outside of farming John and his family continue to build their family’s wealth through long term share, property and cattle portfolios in Australia. Having completed ExecutiveLink™, GrazingforProfit™ and Low Stress Stock handling in South Africa, John then facilitated for the RCS South Africa ExecutiveLink™ program for 5 years. John is currently a lead facilitator of the RCS Succession and Continuity Planning service in Australia. James has previously worked full time with RCS from 2000-2003 as a highly respected consultant and teacher. He has an Agricultural Science degree from University of Queensland and extensive practical experience having managed a number of properties (including Mt Gregory with 4000 breeders). In recent years James has been teaching senior agricultural science syllabus and running certificate courses in rural operation and horse management. One of his students has recently been awarded the Prime Minister’s Award of the year for vocational studies in rural operations. James still owns and manages his own commercial herd of breeders, and is involved in local community groups. In addition to this, James is currently a Consultant and Facilitator for RCS. Born and bred on a property near Goondiwindi, Tom returned home with a Bachelor of Commerce degree from UQ to be sole operator of the family sheep, cattle and cropping enterprise at the age of 20. Tom and Jan became clients in 1993 and were members of ExecutiveLink™ for six years along with completing all other courses RCS had to offer. Putting GrazingforProfit™ principles into action, they developed an increasingly profitable business while markedly improving the land and productivity under grazing cells. Tom has first-hand knowledge of the difficulty in applying professional management principles along with gaining enormous benefits from the results. Tom has extensive experience in people issues through training with Alan Parker, Lyn Sykes and Landmark Education along with experience in investing off farm in shares and real estate. He focuses on ways to make people’s goals work. Tom values integrity, loyalty and authenticity in all aspects of life. 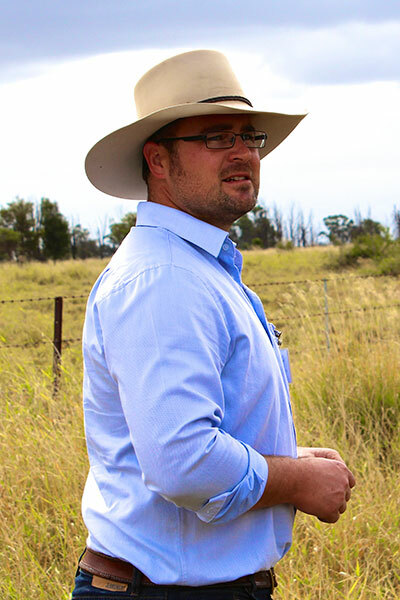 Now a part time consultant based in Southern Queensland, Tom is passionate about economics and grazing management and is also involved in facilitating Working on the Business meetings, coaching RCS Next Steps and ExecutiveLink™ members, and working with clients on development plans. Margaret Bridgeford is the retiring CEO for RCS P/L. 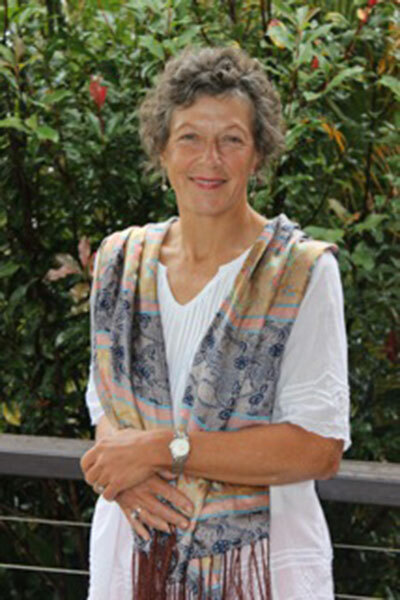 Margaret took the reins of RCS as CEO in July 2004. She came to us with an already established profile and experience that complements the RCS position in the marketplace, with a blend of business, agriculture and education. 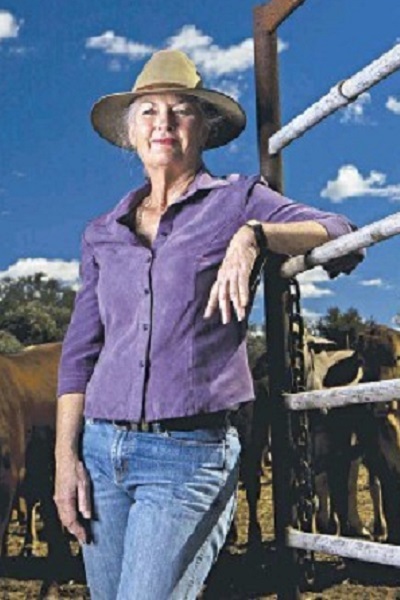 Margaret’s previous industry position was Chairman of the Qld FarmBis State Planning Group as producer representative. Margaret has formal training in both psychology and business. 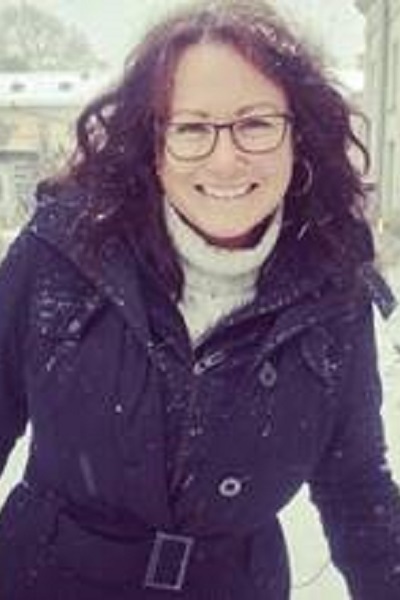 Margaret is retaining her involvement and interest in RCS and is working in a part time capacity as a facilitator trainer and co-ordinator for several RCS programs. It was through Margaret’s vision and capabilities that the RCS International Conference in 2010 was lauded a huge success by all participants and guest speakers. Mike was born and raised on the land and has had over 20 years’ experience in managing rural properties. Mike has had experience in broad acre farming, beef and sheep production, viticulture, irrigation and organic farming. He has over 13 years managing agricultural enterprises using holistic management experience, during which time he developed several properties that were certified organic beef operations. In the past 15 years or so years Mike has had a very keen interest in human health and the role agriculture plays in this and for 10 of those years, he has embraced this in his role as an educator and advisor for RCS. 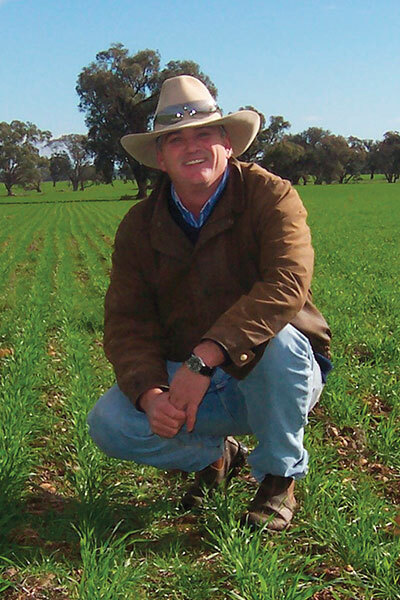 Mike is also Treasurer for Healthy Soils Australia, an organisation dedicated to increasing the awareness of the vital link between healthy biologically functioning soil and human health. Mike, along with Kathy his wife, is the owner of the successful Dubbo Health Food in Darling Street Dubbo. Nic Kentish hails from near Mt Gambier, South Australia, and has a lifetime’s experience in the old and the new, introducing cell grazing and intriguing management systems to his farm in 1999. Nic is passionate about empowering family farming and regenerative grazing. After leaving school, went onto jackerooing across Australia, was overseer for a cattle development project in Vanuatu, and has been head-stockman aboard livestock ships delivering sheep, cattle and goats. 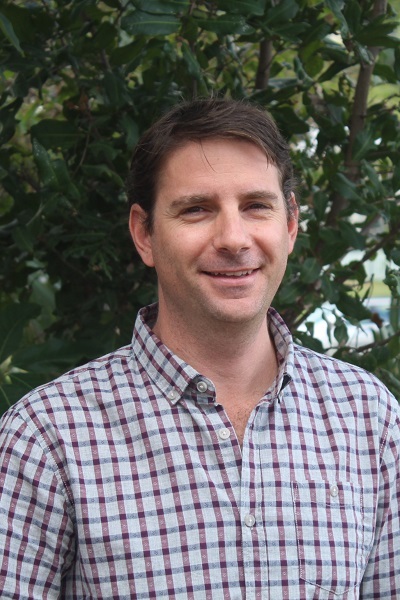 Nic has now settled on a farm in the Adelaide Hills with his wife Alexi and three children, Nic runs a farm management consultancy as well as farm construction business and delivers agricultural coaching within his community. Nic is a graduate of the ExecutiveLink™ program, has coached and facilitated for ExecutiveLink™, has taught the GrazingforProfit™ School, and trains Low Stress Stockhandling Schools. 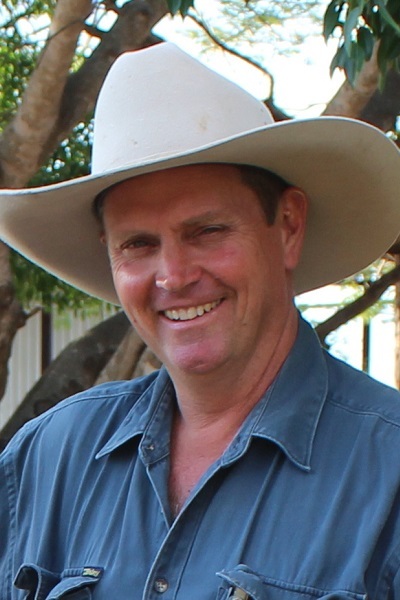 For the past 30 years Raymond has managed the family owned grazing properties in North and North-West Queensland. A client of RCS since 1990, Raymond and his wife Jeanette later completed the ExecutiveLink™ program in 1998. Raymond has delivered training in cattle and property management to certificate course students as an instructor with Rural Industry Training and Extension. He worked as facilitator and coordinator with Dalrymple Landcare, and has previously been an associate consultant and GraduateLink Coach with RCS. 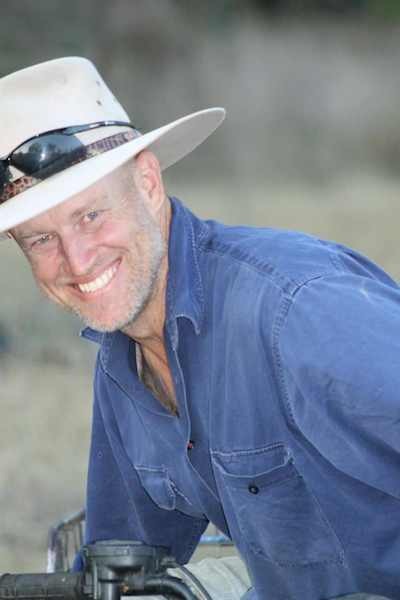 In 2014 Raymond completed a Master of Rangeland Management through University of Queensland. Raymond and his wife and Jeanette now live, work and graze from Southbrook on the Eastern Darling Downs. 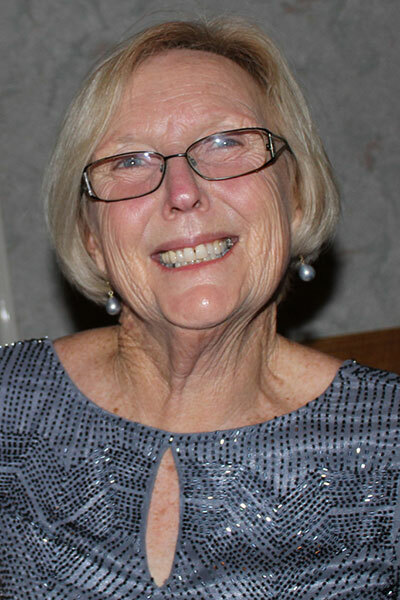 Kim Kiss has a longstanding connection to the land and rural communities. She and her husband Bryan have been running their rural business for over 30 years, which includes mixed grazing, trade sheep, a self-replacing cattle herd and meat bird poultry. 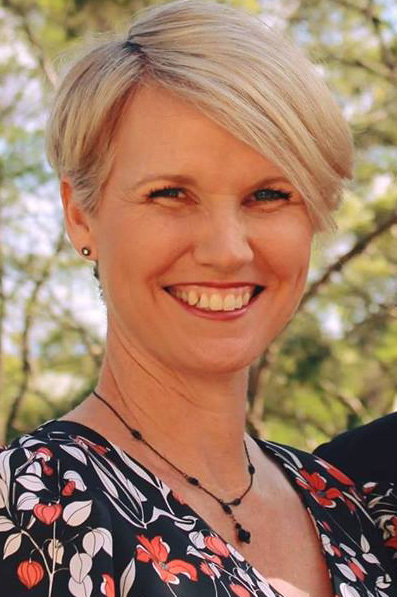 Based in Central NSW, Kim is an accredited Clinical Practitioner in Vibrational Kinesiology (Dawson Program) since 2010. She works with clients on both their own health, and the health of the landscape they live in. Following her interest in the landscape, Kim furthered her skills under the teaching and mentoring of internationally renowned Geomancy practitioner Dr Patrick MacManaway. Over a period of two and half years Kim travelled with Dr Patrick MacManaway during his time in Australia, completing an apprenticeship in Landscape Subtle Energy. Kim is available to conduct landscape subtle energy services on farm, at home or in your business. Kim also does remote energy work, and provides coaching for those looking to build their experience and confidence in the applications of subtle energy. Common applications of subtle energy include clearing imbalances, sourcing site locations, improving water, increasing fertility, removing negative geo pathways and advice on placement of new structures. Debbie is a graduate of RCS training and professional development including ExecutiveLink™. 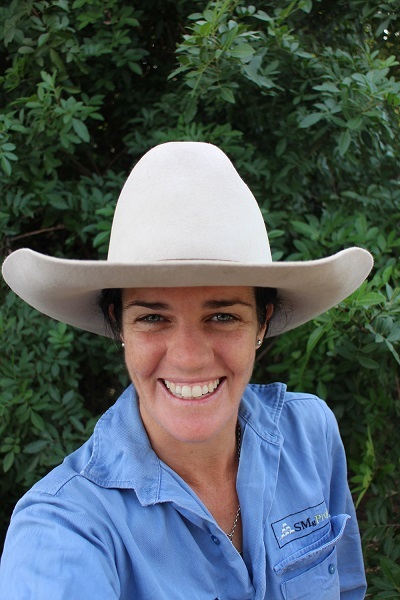 She is based at her property near Moura, QLD where she co-manages a cattle finishing/fattening enterprise. More recently, Debbie has applied subtle energy knowledge to cattle and landscape and has developed a chemical free, welfare focused grazing management system. And, following her interest in the landscape, Debbie furthered her skills under the teaching and mentoring of internationally renowned Geomancy practitioner Dr Patrick MacManaway. Debbie is available to conduct landscape subtle energy services on farm, at home or in your business. She also does remote energy work, and provides coaching for those looking to build their experience and confidence in the applications of subtle energy. Common applications of subtle energy include clearing imbalances, sourcing site locations, improving water, increasing fertility, removing negative geo pathways and advice on placement of new structures. Bec grew up on the family cattle property at Tarong, south of Kingaroy and has always had a keen interest in agriculture. She has recently completed a dual degree in Business and Agriculture from UNE, in Armidale. During this time, Bec had the opportunity to experience agriculture on an international level, including a semester studying at the University of Wyoming in the USA, as well as a recent tour in China. 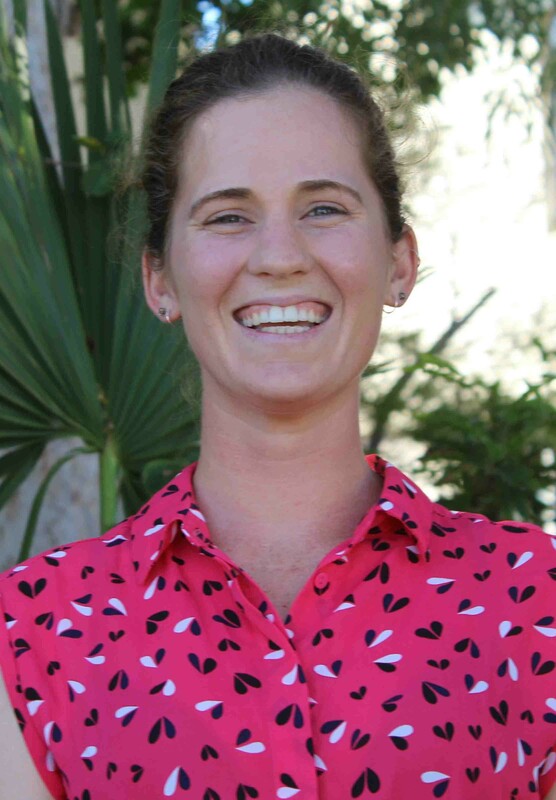 Bec has previously worked in rural merchandise and animal health, and is extremely excited to join the RCS team and contribute to improving Australian agriculture. In her role as Graduate Advisor, she will be working with clients on all aspects that impact on rural enterprises, including business management, ecology, grazing, livestock and people. After completing a Bachelor of Applied Science in Rural Management through the University of Queensland, Andrew returned to the family farm where he ran a successful dairy operation with his parents near Murgon in the South Burnett. Later this operation was converted to a beef trading enterprise. In recent years Andrew has worked part-time in developing and implementing Quality Assurance programs in Agribusiness. Today Andrew and his wife Katie continue to live on the family property and run a commercial beef trading enterprise. As a graduate of ExecutiveLink™ and the RCS Rural Profit System, Andrew has a passion for the regenerative grazing principles that he practices daily. He brings this passion to his part-time consulting where knowledge and appropriate management can reduce inputs and improve profitability and balance in people’s lives. For the past 13 years Catriona and her husband Kevin have developed and grown their beef cattle and farming property on the Fitzroy River north of Rockhampton. Catriona grew up on a beef cattle and farming property near Moura, Central Queensland, and completed a Bachelor of Commerce at UQ. She has worked with Australian Agricultural Company (AACo) in the Northern Territory, and went on to complete their two-year graduate program, before working at management level. 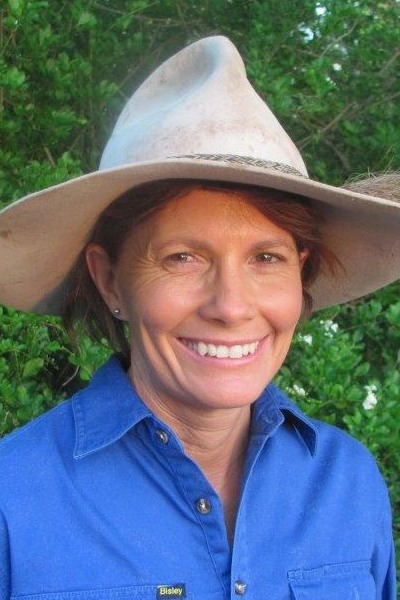 Catriona has experience in Research and Development, and marketing across QLD and NSW in cattle, sheep, feedlot and farming operations. Having spent a couple of years overseas travelling and working within agriculture in Africa and the United Kingdom, Catriona and her husband began their own business in 2002. Since then they have completed GrazingforProfit™, GradLink, ExecutiveLink™ and the Applied Grazing and Ruminant Nutrition Workshops. They now live outside of Rockhampton with their 2 children on their property. Apart from the business, Judy has also been teaching for 20 years, starting out as an accounting teacher and experiencing a variety of roles such as Learning Support coordinator, relief Head of Department and relief deputy principal. She has completed GrazingforProfit™, ExecutiveLink™, the RCS Grazing Clinic, Ruminant Nutrition, Low Stress Stockhandling and has trained with Allan Parker through the Negotiator’s Toolkit (and other programs and courses as well). 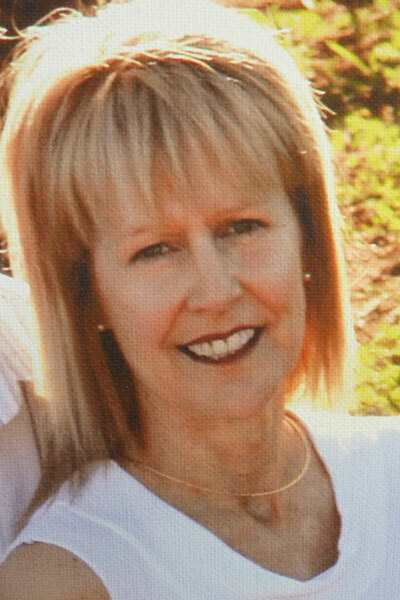 We are pleased to have Judy join the RCS Team as a RCS Next Steps coach and facilitator. Jim and his wife have run their property in partnership with his parents near Gympie QLD since 1996. In recent years they have developed their business into a mixture of cattle breeding, pasture seed production and hay production. Jim graduated the ExecutiveLink™ program in both 2005 and 2016. He is passionate about sustainable agriculture, both from an environmental and business point of view. Jim joined the RCS team as a Next Steps coach and has since added ExecutiveLink facilitator to his role. Jim enjoys guiding people and businesses with his experience and knowledge of regenerative grazing. Garlone and her husband Jamie have been involved with RCS and regenerative grazing since 2000 and in the last 15 years, have navigated a tricky succession, developed a solid vision and done the pipe laying and fencing and training to enable a pretty flexible Time Controlled Grazing system that works for them, their land and livestock. Garlone’s vision for agriculture is Healthy People (relationships, physically and emotionally) farming Healthy Animals (appropriate to the environment, naturally hardy, contented and productive) on Healthy Land (water trapping, soil growing, abundant and diverse plant communities supporting native and introduced animals). She believe the health and wellbeing of the environment, animals and people ensure long term financial wealth of the business. Garlone has come on board the RCS team as a Next Steps Coach and will be helping and guiding current and future participants to create their own goals, visions and profitable businesses within a regenerative landscape. Andrew lives west of Rockhampton on 3500ha along the Fitzroy River with his wife Meagan and has been based there since 2000 when they entered a family partnership after some 15 years working in various roles with his mechanical trade. Over the last 16 years, Andrew, along with his family, has changed the country they own and manage from a traditional set stocked operation to a more intensive time controlled system. This transition has allowed Andrew to gain experience in property mapping, layout and installation of water and fencing infrastructure, management and monitoring techniques and a complete turnaround in livestock handling. As part of a recent change in roles and responsibilities, Andrew has decided to join the RCS team in a new capacity as a Next Steps Coach. He will be using his invaluable experience to help guide and advise the next group of farmers and graziers on how to successfully and profitably run regenerative agricultural businesses. Tamara grew up on a sheep and cropping property near Condobolin in Central NSW. She has completed her Bachelor in Natural Resource Management and Masters in Agriculture through UNE, Armidale and on completion of university, she was lucky to then spend the next 13 years in QLD. 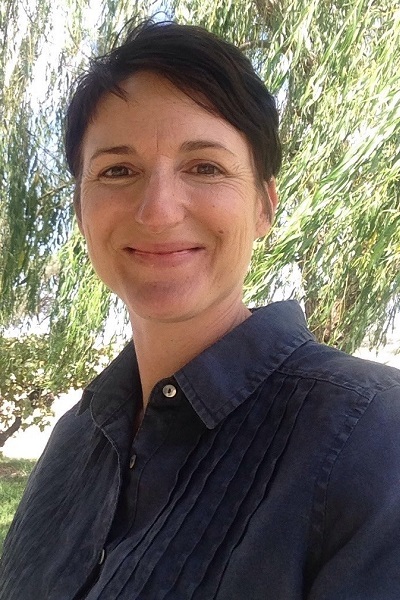 She took on various project officer roles with Landcare and Natural Resource Management groups in Surat and then Wondai, before beginning with RCS in 2005. Previously, as part of the RCS team, Tamara has filled several different roles including, teaching, consulting and ProfitProbe™. She was also privileged to be able facilitate board meetings at ExecutiveLink™ in the mid to late 2000s. Now, after a short stint away and moving back down to NSW, Tamara has re-joined the RCS team as a Next Steps Coach in order to continue her passion for further education and quality training and learning. 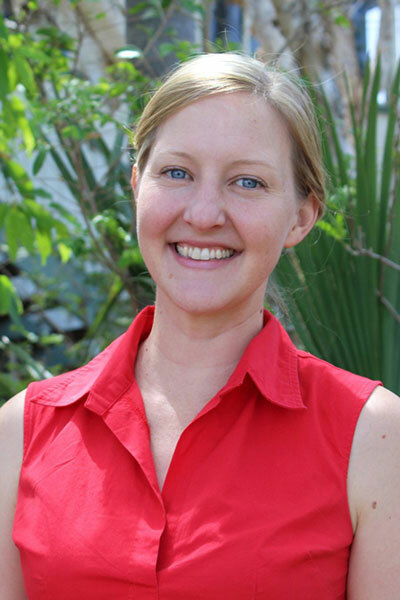 Katie is a physiotherapist and the owner of Central Balance Murgon. She is studying life coaching and enjoys helping people become the best they can be. Katie and her husband Andrew are Grazing for Profit, ExecutiveLink Graduates, and current Growth Link members. They have two children and live on-farm in Murgon QLD. Katie is a facilitator and delivers the Vision and Goals service for RCS. 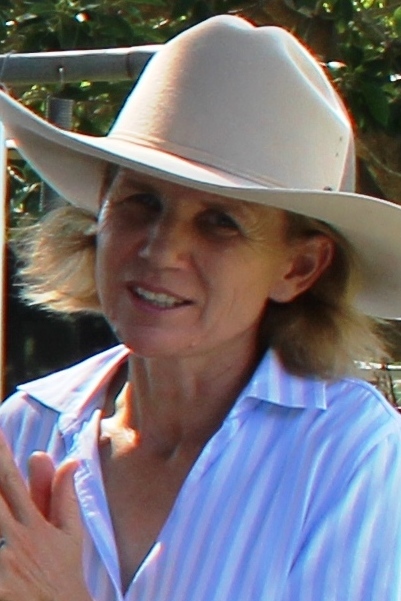 Jane Barker holds a Bachelor of Applied Science (Rangeland Management) from UQ. 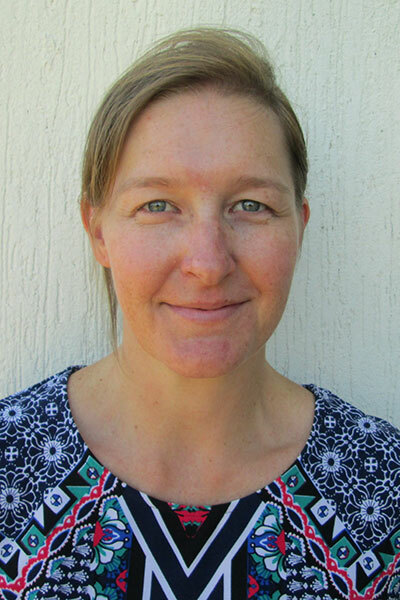 She has a high level of training and experience at a practical level on farm as well as technical work with AACo, experience with the Department of Natural Resources and insight into operating rural tourism businesses. Contract mustering will always be a sentimental highlight of her career and sharing her passion for the industry remains a constant throughout her life. Now a stay-at-home mum on 30 acres near Yeppoon, she enjoys pursuing the future of agriculture through RCS. Jane is available for background research, administrative and technical support. Born and raised in a farming community in Victoria’s South-West, Kerrie was immersed in agriculture from a young age. 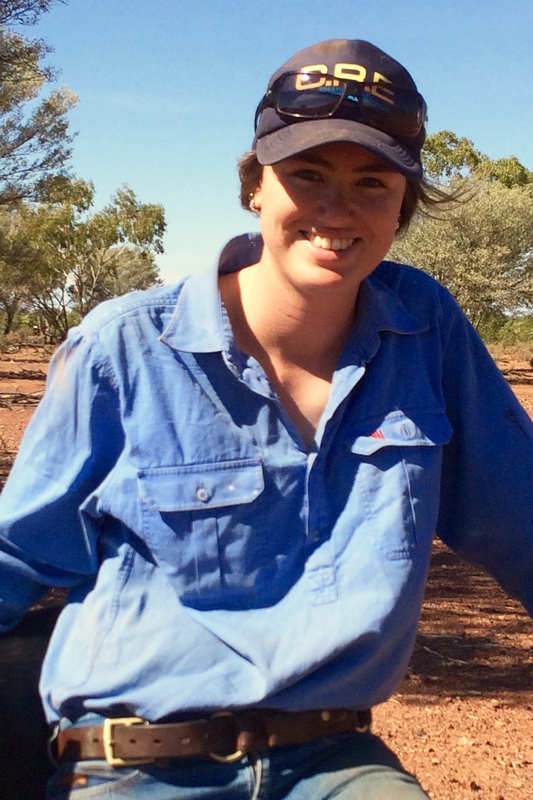 Promises of warm weather took Kerrie to the north of Australia, where she gained invaluable hands-on experience working in the beef, sheep and equine industries. 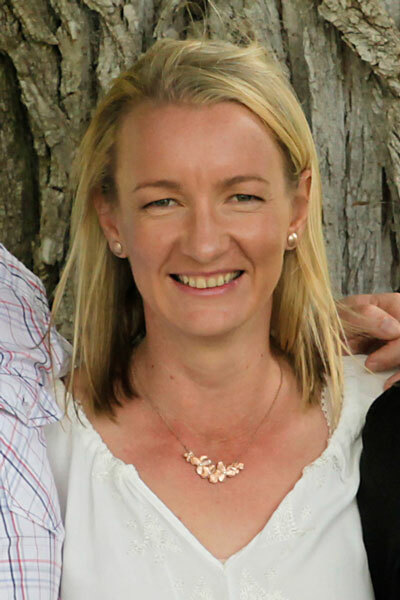 Kerrie earned a degree in Equine Business Management through the University of Sydney, much of which was studied by distance while living (literally) at the back of Bourke, before going on to work as a media consultant for a national agricultural media outlet. Kerrie brings to RCS the unique combination of a working knowledge of Australian agriculture, an understanding of marketing to agricultural and wider communities, and a passion to tell the stories of innovative, progressive, regenerative farmers to the world. Jo has a background in the IT and education sectors, a degree in Business, and brings a wealth of international and local experience to RCS. She joined the team in 2014 and has grown with the company. She is Personal Assistant to David and Terry, looks after the Succession and Continuity consulting service, and the GrowthLink program for ExecutiveLink™ Graduates. 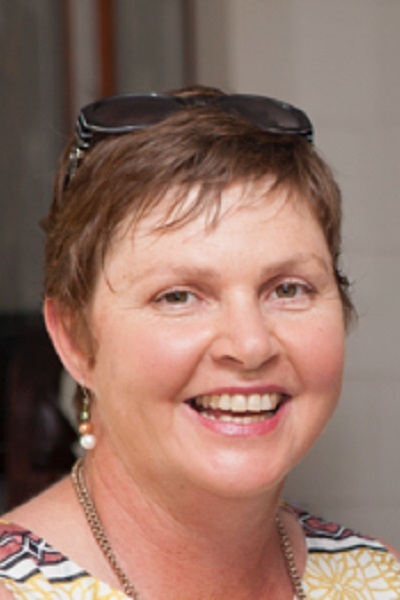 Having grown up in rural Queensland, Jo also has an appreciation and connection with the land. Megan has several roles at RCS including KIT Field day Co-ordinator and Team Leader for the RCS Next Steps Program. Megan comes from an agricultural background and, having lived and worked in the Central Queensland Region for her entire life is very passionate about the industry. In addition to supporting our trainers and consultants Megan handles client enquiries and helps ensure the smooth preparation for all our training programs. Even as a child Deann longed for the land, being amongst nature and open spaces, spending most of her holidays on a property that she vowed she would always return to. Following on Deann has spent adulthood travelling overseas, experiencing different landscapes and living and working on properties, raring sheep and a small number of cattle for the dream of being self-sufficient. 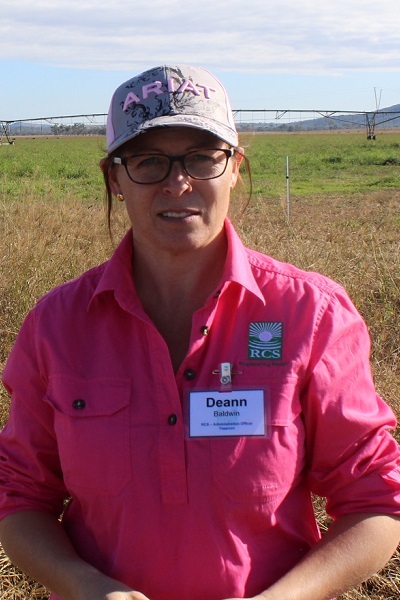 Now living in Yeppoon, Deann has kept her love of agriculture and a passion for a more productive and less disruptive land care movement by coming to work with RCS Australia. With an accounts background she is here to mix her knowledge and a desire of earth preservation for a clearer and more stable farming and grazing future! 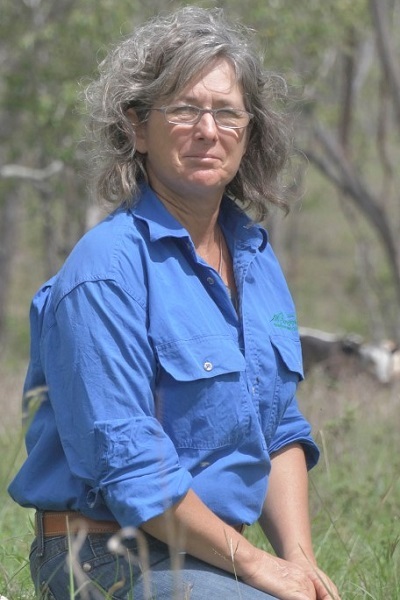 Pam commenced with RCS in the mid 1980s prior to the launch of GrazingforProfit™ in Australia. After 21 years of supporting clients and various programs, Pam has recently “retired” from RCS but still continues to enjoy an ongoing support role with RCS. Pam makes her valuable experience and expertise available to all staff and clients and assists with programs and projects when needed. Suzanne lives on an irrigated wine grape farm in the Riverina in New South Wales. After ten years of trading currency and derivatives for the rice industry, she managed a special project for RCS on business planning and benchmarking until its completion. Suzanne warmly welcomes the opportunity to return to RCS with a depth of knowledge on the Rural Profit System and as an ExecutiveLink™ facilitator. 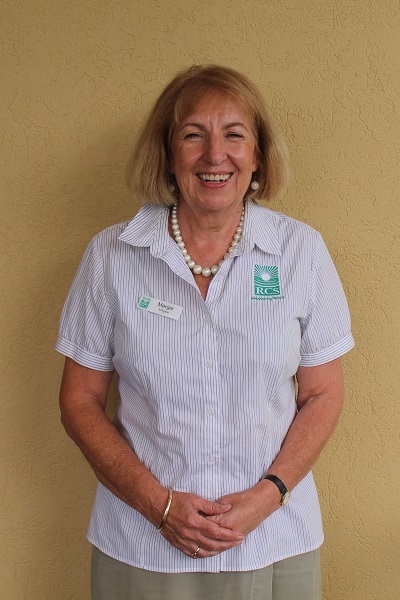 Margie Milgate has joined the RCS team as a Consultant and Educator and has established a new base for the RCS team in Brisbane. Margie will work from this shared office space in Woolloongabba with Avocados Australia and the Australian Mango Industry Association. Margie has joined the RCS team with many years of experience in the intensive agriculture sectors and brings extensive industry and community networks to the current role. The focus for Margie will be to build stronger networks and business across industry sectors in Queensland.